Tasmanian Search Engine Optimisation (SEO) services. Get more traffic, leads & customers with results focused Search Engine Optimisation. Search Engine Optimisation is the foundation of your brand’s online presence and could be one of the best investments you make in your business. Rank higher in Google when people search for the product or service that you offer. Drive more quality traffic to your website by getting in front of people who are searching for the products and services you offer. Reach, connect & build relationships with your target audience to drive more leads & sales. Search Engine Optimisation (SEO) is the process of optimising your website so that it appears higher in the search engine results (such as Google, Bing and Yahoo) when people search for the products and services that your business offers. To drive more targeted traffic to your website from Google that will result in more leads and sales for your business. What are the benefits of SEO for Tasmanian businesses? Do you rank highly in the Google results when searching for a product or service related to your business? Most likely not… and that’s how SEO can help. Getting in front of potential customers right when they are searching for a product or service that you offer is key to driving brand awareness, leads and sales for your business. Good SEO will help you to rank higher in Google for the right keywords, and drive more potential customers to your website right when they are ready to buy. Get started on increasing your organic traffic, leads and customers now. This is the baseline which can make or break your SEO success. It includes technical elements of your website that will effect how search engines like Google crawl, find and read your website and its content. Is your website ranking in Google? Get your free keyword ranking report. 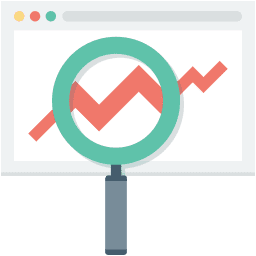 Get a free keyword ranking report and 15 minute phone consultation to understand what keywords your website is ranking for in Google, and how to rank for more profitable keywords. We make sure you’re on the same page as us, so you have complete transparency over what we’re doing on your website. You’ll understand the strategies we’re using to increase your website traffic and boost your online presence, and have access to the data to prove it. We only use safe, tested and proven white-hat SEO strategies to boost your website’s search engine performance. Long-term contracts generally make people feel uncomfortable, so we offer easy monthly plans where you’re not locked-in. Easily check your keyword rankings, traffic & conversions at any time with your personalised live dashboard. You’ll have one consistent and reliable point of contact to drive your campaign. Unlike many SEO agencies, we’re 100% transparent with everything we’re doing on your campaign and why we’re doing it. Watch your campaign thrive with easy to understand monthly progress reports and catch-ups. Let’s get started growing your business online. We’ve got three levels of SEO plans to fit businesses of all sizes. Search Engine Optimisation can be confusing when you’re not up with the lingo. Check out our below FAQs and hopefully these will answer any queries you have about SEO in general, and our SEO Services. If not, no worries – just drop us a line! SEO is the process of optimising your website (content, structure and code) to drive more targeted/engaged visitors to your website from the major search engines (mainly Google), when people search for products or services related to your business or product offering. Essentially the main objective of doing this is to get you more sales by increasing the amount of potential customers coming to your website. How long will it take for SEO to work or have any effect on my business? Typically it’ll take 4-6 months, depending on your industry, your competition, and how much time/work/investment you’re willing to put into your SEO strategy. You won’t see overnight results, and anyone that promises overnight results with SEO is probably either scamming you or doesn’t know what they’re doing. How will SEO benefit my business’ bottom line? Do you get enquiries through your website that lead to sales from time to time? What percentage of your traffic will purchase or enquire through your website? If you could significantly increase the amount of targeted traffic coming to your website and generate a higher percentage of leads from this traffic – then this will help to increase your bunsiness’ bottom line – and that’s exactly how our SEO services will help benefit your bottom line. We’ll drive more targeted traffic to your website that results in more conversions, leads and sales. What can Tas Digital Marketing do to help my SEO? One of our core areas of expertise at Tas Digital Marketing is SEO. We love it. And we love helping people achieve better results from their website by planning and implementing solid SEO strategies and tactics – driving more targeted traffic and potential customers to your website, with a focus on conversions. Can you guarantee that I’ll be number 1 in Google? Unfortunately not, sorry. The truth is that we cannot control how Google displays results in their search engine results pages, and we also can’t control what your competition is doing. What we can control (and guarantee) is the strategy and tactics that we recommend for your website, based on proven methods and results. When it comes down to it, we operate to Google’s guidelines and best practices when optimising your website and we use proven strategies to achieve results. We track and measure our work to see what works best for each specific project, to ensure that we can deliver the best return on your investment. If we don’t think we can help or improve your website’s search engine performance with our SEO services, we won’t take the job. If you do come across an SEO company offering guaranteed rankings, our advice? RUN. Run away as fast as you can. Tasmania is a small place – why do I need SEO – can’t I just rely on word of mouth customers? People are using the internet more than ever, and that’s only going to increase in the future. 90% of online experiences start with a search engine. In Australia, 86% of those come from Google. So even though it’s Tassie – consumers are now relying heavily on the internet, and more specifically Google to search for and find the product or service that they want to buy. When you Google the service or product that your business offers, does your website show up at the top of the search results? Probably not – and if it doesn’t, then this means that you are potentially missing out on a large amount of business, which is most likely going straight to your competitors. So if you’re not getting website traffic from Google, don’t worry – we can help with that. Speak with an SEO expert today.